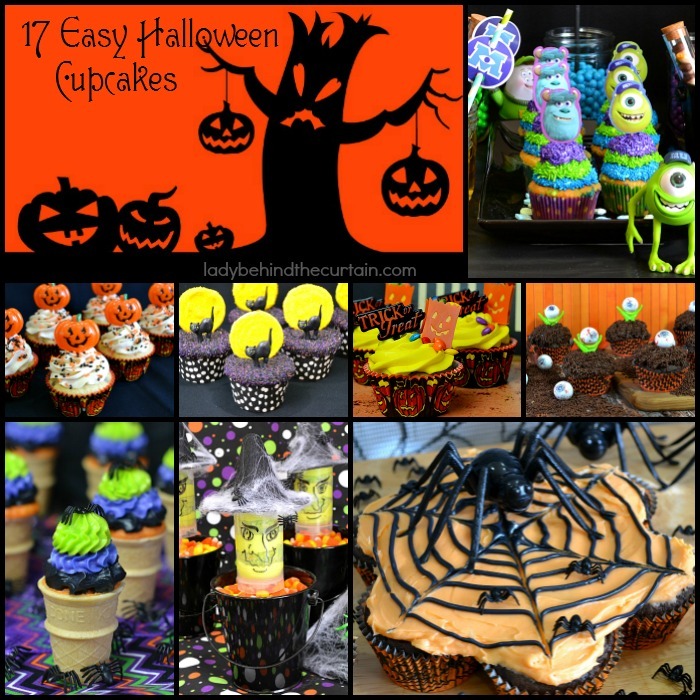 17 Easy Halloween Cupcakes | Cupcakes are the prefect party dessert. They are easy to make and transport, fun to decorate for a class party, carnival and bake sale. This round up has it all from creepy to cute. Including Slime Filled Cupcakes with Pond Scum Frosting. They sound gross but trust me they do not taste gross. Are you planning a Halloween party? Take a look at some fun and easy recipe ideas. Most of the cupcakes in this round up start with a cake mix! Because you don’t have to make a cupcake from scratch to make a GREAT cupcake! 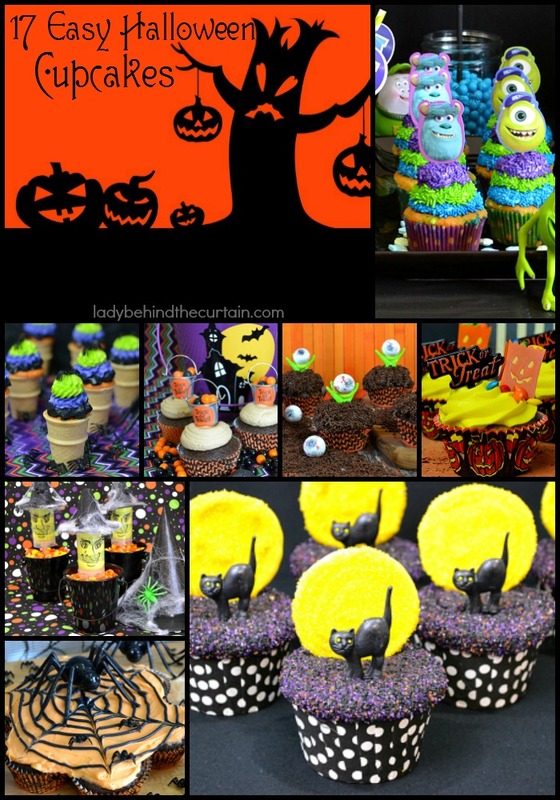 So many adorable ideas for Halloween cupcakes, I don’t think I could possibly decide on which would be my favorite!